The CellCeuticals skin care collection consists of products designed to treat signs of aging for all types of complexions. The range also includes products that effectively protect the skin from sun damage and free radical-related oxidative damage, so they slow down the aging process to keep skin looking youthful for longer. With cleansers, exfoliators and moisturizers, the CellCeuticals collection gives you all of the components necessary to create an effective daily anti-aging skin care regimen. In 2007 CellCeuticals Skin Care was founded by internationally recognized plastic surgeon Dr. Garth Fisher along with beauty veteran Paul Scott Premo. One of the leading plastic surgeons in the world, Dr. Garth Fisher has helped men and women dramatically improve their appearances through medical interventions. He has even been featured on the television show "Extreme Makeover" due to his expertise in restoring youthfulness and vitality to the face and body. Knowing that not everyone is a candidate for plastic surgery, Dr. Fisher, along with Paul Scott Premo, created a unique skin care collection formulated based on the latest biotechnological research. The CellCeuticals skin care collection features unique ingredients developed by a strong experienced team, making the products able to produce unparalleled results that you simply can't achieve with other formulas. As its name implies, CellCeuticals is a cosmeceutical brand, meaning it blends the best of cosmetics and pharmaceuticals into effective formulas for your skin. As a cosmeceutical company, CellCeuticals has a scientific-driven purpose. 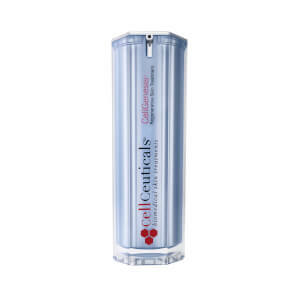 CellCeuticals strives to establish itself as a global leader in the research and development of innovative products. More specifically, the company is focused on developing skincare products that are based on advanced biomedical technology and work to target common signs of skin aging. Aging can bring on a host of skin issues, from dry skin and free radical damage to dark under-eye circles and puffiness and a dull complexion. 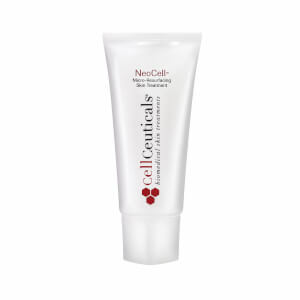 CellCeuticals products, which come in a range of styles, work to address such problems using advanced scientific technology. Thus, the brand is committed to becoming a leader in the anti-aging skincare industry. Although CellCeuticals has a leading plastic surgeon in Dr. Fisher tied to the company, its success lies in its products as well. In fact, CellCeuticals products have been featured in a range of publications, including such magazines as Allure, Lucky, People, Marie Claire, and Life & Style. These products have been celebrated for both their effectiveness and safety. The brand does not use animal testing and has omitted controversial ingredients such as phthalates and parabens. Eye products are ophthalmologist tested to maximize safety as well. Using sustainable sources, CellCeuticals considers itself an environmentally friendly brand. Whether you need to hydrate dry skin, eliminate unwanted dark circles under your eyes or rid your complexion of impurities and buildup, you can find a CellCeuticals product for your needs. For years, Dr. Garth Fisher has been considered one of the top plastic surgeons in the world, and his services are sought by celebrities and high profile individuals who want to look younger and more beautiful. In 2007, Dr. Fisher launched his own skin care collection with the goal of making healthy, youthful skin a reality for everyone, even those who were leery of plastic surgery. When formulating his skin care brand, Fisher relied on the latest findings in skin care science as well as the newest biotechnological advances in ingredient delivery. The result of his extensive research and development is the CellCeuticals Products collection, a revolutionary lineup of wrinkle-fighting formulas. CellCeuticals Products contain proprietary ingredient blends that are unique to Dr. Fisher's formulas. An example is the GFP Cellular Complex, a remarkable ingredient that spurs cellular rejuvenation and helps the skin recover from photo-damage and other types of signs of aging. With formulas for all skin types, the CellCeuticals Products collection contains anti-aging solutions for every woman. Shop the range to find the formulas that are right for you! Take a scientific, technological approach to fighting signs of aging by making the CellCeuticals Products collection your choice for your healthy daily skin care regimen. 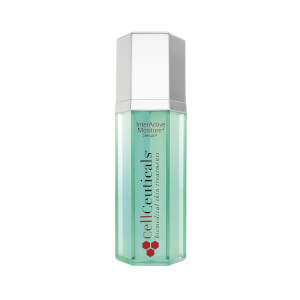 The CellCeuticals Extremely Gentle Cleanser effectively eliminates makeup residue, dirt and impurities from the skin without robbing it of the vital nutrients and moisture necessary to keep the complexion looking its best. The formula uses gentle amino acids, not harsh surfactants, to power its effective cleansing, so it's gentle enough for even the most sensitive and allergy-prone of complexions. The cleanser also contains glycerin to moisturize as it cleans the skin. The CellCeuticals PhotoDefense Color Radiance SPF 55 Plus - Medium combines effective broad-spectrum sun protection with a hint of pigment to hide imperfections on medium to tawny complexions. The translucent color creates a flawless finish that lasts all day, while the antioxidant and sunscreen complex limits the negative effects of UV energy and free radicals. 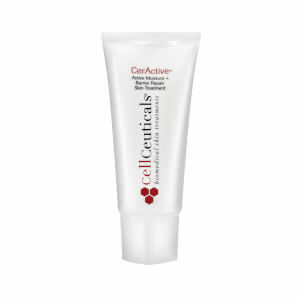 Safe for all skin types, the formula also contains allantoin to fight inflammation and irritation. 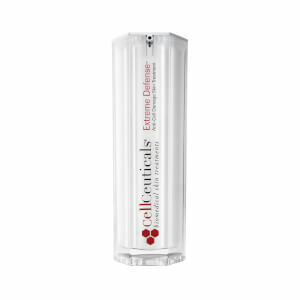 The CellCeuticals CerActive formula effectively treats skin dehydration by repairing the lipid and ceramide filler found between the skin cells. By rebuilding this natural barrier to the elements, the moisturizer helps to permanently solve problems of dryness, leaving the skin soft, silky and smooth in all seasons. The formula also contains hyaluronic acid, which supplements skin's moisture supply by pulling water from the air. Bisabolol and aloe vera extract are added to soothe the skin and alleviate redness, flaking and itching.